We all know that parsley is a biennial plant with aromatic leaves that are either crinkly or flat and used as a culinary herb and for garnishing food. It is not just a garnish, it has been around more than 2500 years known for its great healthy benefits that can be showed through our essay today. Parsley benefits can be found most in its green leaves. It is rich in vitamins such as vitamin C, A, calcium, iron and many others. – Parsley strengthens body muscles and heals nervous system. It can also renew the damaged cells. – It protects against Alzheimer through activating and strengthening memory. – It is useful in the treatment of urine tract infections and helps in lithotripsy and treats kidney pain. – It strengthens blood and prevents anemia since it is rich in iron. – It helps in the renewal and the expansion of capillaries. – It keeps the immune system strong and resists fatigue and tiredness. – It provides skin protection and keeps the skin clear and pure. – It helps to strengthen eyesight. – It is used for treating asthma and breathlessness diseases. – It is used as tonic for sexual desire and its oil used to treat erectile dysfunction. – It helps in lengthening hair and increasing its density. It activates also the scalp and prevents hair loss. – Parsley juice is considered the best solution for loosing weight and used for slimming operations. 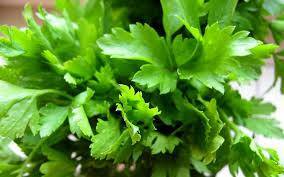 – It makes the sense of loosing appetite if u drink soaked parsley on an empty stomach. – It helps in relaxing nerves. – It treats rheumatism and arthritis. – It helps in diuretic and urinary retention. – It is used for treating breast tumors and its infections. – It is useful for eye infections if used as soaked drops. – Soaked parsley can be a wonderful vaginal lotion for women. – It can be Galactogenous for nursing mother. – It assists in the healing of fractures and prevents osteoporosis because it contains a high amount of calcium. 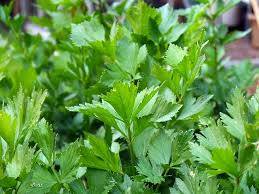 – That you shouldn’t soak parsley in water for a long time as it loses some of its properties in water. – A pregnant woman shouldn’t eat parsley frequently because it causes abortion. Parsley is full of rich vitamins, so don’t keep it away of your home. You can grow parsley in home gardens. It is a kind of herb remains along the year. If you found this blog interesting and beneficial, feel free to show us your appreciated comments and valuable suggestions. You can also subscribe to this blog and share them in your Face book, Google plus, Tweeter or any other social networking website you are using in your daily life. http://www.decentfriend.com/ is an Evergreen Blog, Where you will find Interesting News, Health, Technology, Food Recipes, Puzzles, Poetry, Tips & Tricks. Posted on January 10, 2015, in Tips & Tricks and tagged body, calcium, fat, female, hair, healing, health, herb, human, medical, relax, skin, slim, strength, urine, vitamins, weight. Bookmark the permalink. Leave a comment.